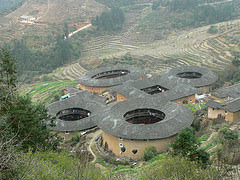 The tulou (earth buildings) are square or circular clan houses built by the Hakka (guest people) from the North who settled in Fujian and Guangdong. 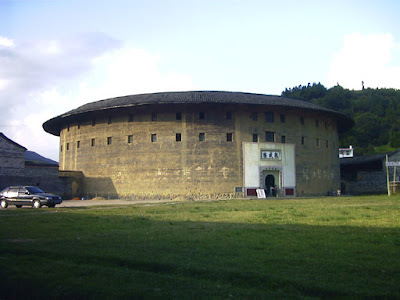 The tulou was a fortification, with outer walls of stamped clay up to 1.5 metres thick and 18 metres high, an iron-clad portal, weapon slits under the eaves of the large overhanging roof, and a connecting gallery for rapid defensive manoeuvres. Inside, the living quarters are built of wood over three to four floors. The ground floor is for cooking, eating, socializing, and working. Bedrooms and stores are on the upper floors. 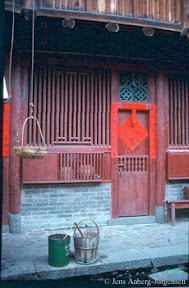 In the typical central courtyard is a well, mill, threshing floor and an ancestral hall. 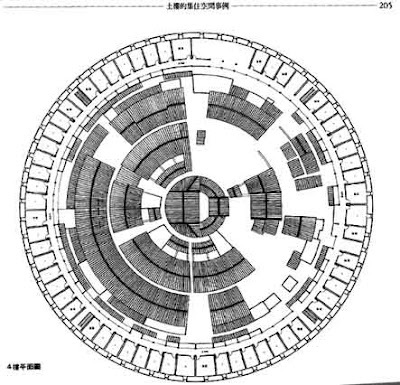 The compact tulou can contain several dozen to a hundred families, with up to 250 small uniform rooms. 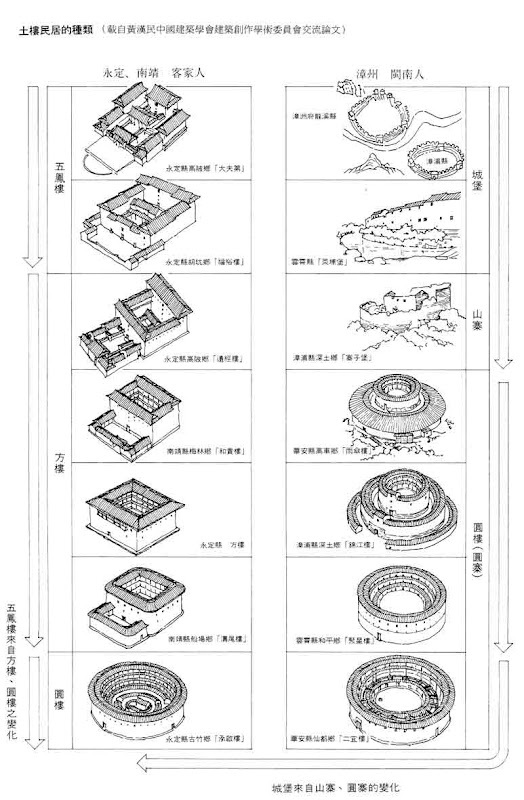 The rooms of a tulou are shared among its occupants in such a way that a single family unit use two or three rooms on each floor, in a vertical segment of the building. 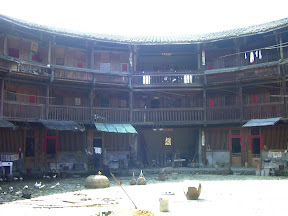 The circular tulou was perhaps the last stage of a long development, starting with more complex forms which evolved into simpler rectangles and finally taking on the circular form. The circular form is efficient – producing more usable space from less material – relative to the square plan. And according to popular superstition, the absence of corners discourages evil spirits. 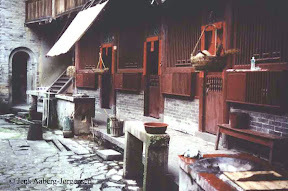 Reference: Jens Aaberg-Jørgensen, "Clan homes in Fujian"